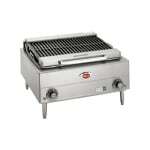 The Wells B40 countertop charbroiler is made of stainless steel for strength. 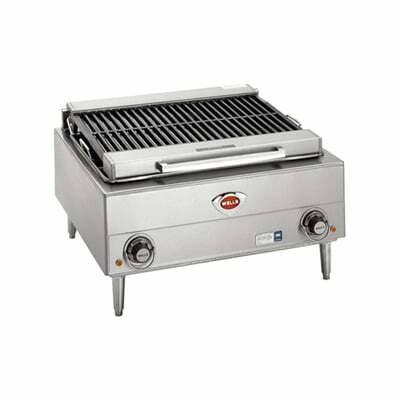 The broiler grate ribs guard the self-cleaning elements and protect them from direct food contact and spatula abrasion. Separate knobs control half of the grid surface for cooking versatility. Since the controls are protected with a guard ring, unintentional temperature changes can be avoided. The Wells B40 charbroiler can be hardwired into a power supply with the included terminal block. The drawn drip pans with handles and cast iron grate are removable for cleaning. Heats to 600 degrees F in 10 mins. Refer to our charbroilers buyers' guide to learn more about different types of charbroilers.